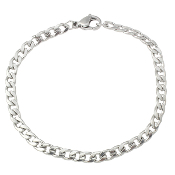 100% Stainless Steel Jewelry Bracelet curb chain 6" 100% Stainless Steel Jewelry Bracelet curb chain 7 1/2"
100% Stainless Steel Jewelry Bracelet curb chain 6". 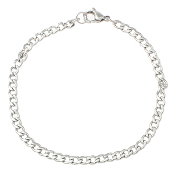 100% Stainless Steel Jewelry Bracelet curb chain 7 1/2". 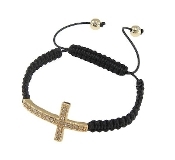 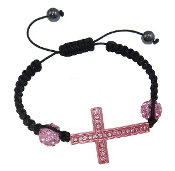 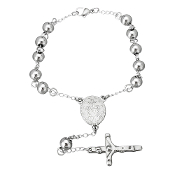 100% Stainless Steel One decade rosary 8 1/2"